I spent four nights in Chicago while my brother visited colleges, and I came up with this idea. 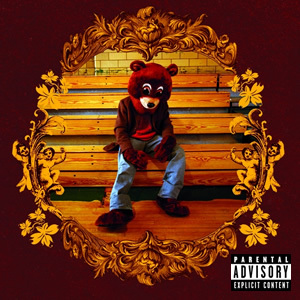 Kanye West is the greatest artist of this generation–I don’t want to hear an argument against this–so I figured I’d make a Top 10 of Kanye West songs. Then after second thought, that would be too hard, and it wouldn’t do justice to Yeezy’s work. So I expanded to a Top 20. But even a Top 20 doesn’t do him justice because I ended up leaving off some great songs. That just goes to show how enduring and powerful his music is. 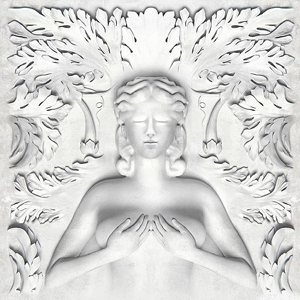 I’m not a huge fan of Cruel Summer, since it feels more like a DJ Khaled album than a Kanye Album, but Kanye kills it on this track. I barely put this in over Love Lockdown because it’s a little too auto-tuney and doesn’t have many great lines for a Ye song, plus another song higher up on the list better represents 808s and Heartbreak. Anyway, Pusha T opens with the first two verses of the song, which have some clever rhymes, but I’m completely ignoring the Ghostface Killa part at the end, which doesn’t even appear on the Single version. This was Kanye’s first song after his near-fatal car accident, where he talks about… his near-fatal car accident. And how he’s “the hottest rap label around”. His first verse is full of clever rhymes, and he really opens up in this song. Dark Fantasy is the first song in My Beautiful Dark Twisted Fantasy, setting the tone for his fifth album, which Entertainment Weekly named the 8th greatest album of all-time. Nicki Minaj starts it off with a twist on Roald Dahl’s take on Cinderella from Revolting Rhymes. 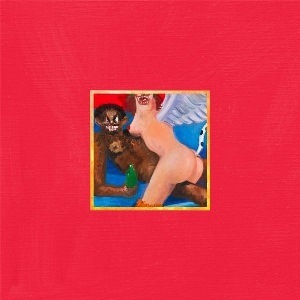 Her shift from happy-sounding to angry let’s you know what’s coming in MBDTF. This is an… interesting song. Taken out of context, misanthropes will say this is why everyone hates Kanye: He’s egotistical and arrogant. But check out Psalm 82.6: “I have said, Ye are gods; and all of you are children of the most High.” I Am A God also has the most quotable line from the entire album and a whole lot of screaming. It sounds like Kanye is saying he won’t listen to anyone because he has money, but he’s actually mocking people who believe that. He already has his money right. Fun fact: I always think of The Hangover when this song comes on. 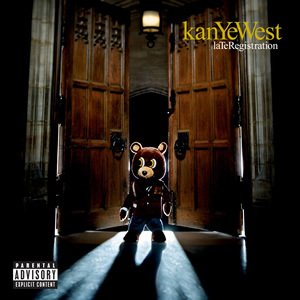 This was Ye’s big hit off his third album, his second ever single to reach #1 on the Billboard Top 100. Using samples from Daft Punk’s “Harder, Better, Faster, Stronger”, Stronger has a fun beat and it’s one of his best known songs, but it’s not as deep as a lot of other songs on this list. But what makes a good song? Popularity or the message? A beautifully sad song, this song might sum up My Beautiful Dark Twisted Fantasy best. Kanye talks about how he can’t keep a relationship with women and tells them not to settle with bad men. Also, this has one of the best music videos I’ve seen, which ties in several other songs from the album. That’s art. It’s a simple song, short and repetitive, but a great one. When I first played this song in the car with my brother, he asked “Is this music?” because the Bon Iver beginning is very, well, Bon Iver-ish. But apparently Kanye’s first eight bars were his favorite ever to write. Kanye had been working on this song a while before it came out in 2007, and it’s one of his best. He gives an ode to his home town of Chicago–he moved their at age three after his mom’s divorce–by personifying Chi-town as a girl from home. Once you figure out that much–he spoils it at the end–you can see how well his lines talk about both a girl and his hometown. That’s why this is my favorite song on Graduation. There are only nine different lines in this song, but they’re haunting. The heavy drums in the background play up the lyrics even more. 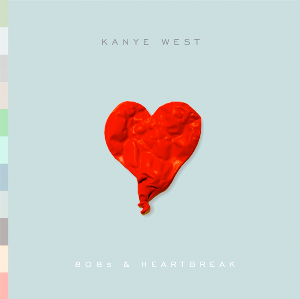 808s and Heartbreak came on the heels of his mom’s death (we’ll see her importance to him in a few songs) and the breaking off of his two-year engagement with Alexis Phifer, and this song best represents that time in his life. Fun fact: the holiday season has the highest suicide rate of any time of the year! 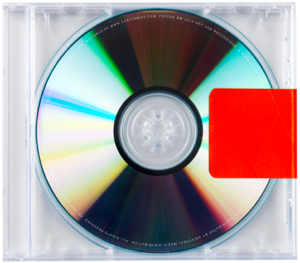 This is where Kanye’s songs take a leap; these next eight songs are fantastic. Although this was the second song on Yeezus, it sets the tone for the hwole album with rebellious lyrics, coarse music, and screams. And this beat is impossible not to love. He killed it on SNL, but sadly left out the line “My homie was number one draft pick / They still burned his jersey in Akron” in the album version. It’s also a little unclear if Black Skinhead means he hates how black people are acting or if he thinks blacks are superior. Maybe both. 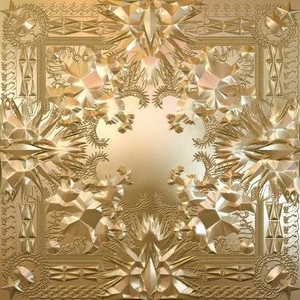 No Church in the Wild is probably the best song on Watch the Thone, in large part to Jay-Z killing his verse, but I’m only considering Kanye lines. This song is used in about two dozen commercials and previews, much like Macklemore & Ryan Lewis’ Can’t Hold Us, but it has crazy good staying power. I could write an entire essay on this song. I probably will some day. Huge hit. Lots of quotable lines, too. What’s not to love? These guys are so good they can thrown a couple lines from Blades of Glory on the record and still make Top 5 on the Billboard. I’ll be perfectly honest: this song makes me cry. 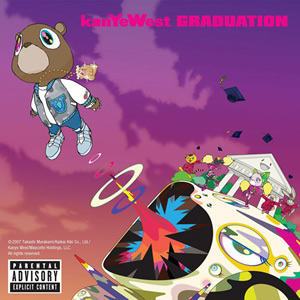 Hey Mama was the first song Kanye ever wrote, which gives a shout out to the most important person in his life: Donda West. A lot of people haven’t heard this song, but it’s undoubtedly one of his best. Watching him break down crying while singing this live kills me. For starters, Jamie Foxx does a fantastic Ray Charles impersonation coming off his Academy Award-winning performance in Ray, and it’s more than ironic that he takes the I Got A Womanhook and completely flips the meaning. This was Kanye’s first #1 Billboard song, and it’s fun. An awful story, for sure, but it’s fun. This is a lot more radio-friendly than Power, but it’s doesn’t have a strong a message. That said, his story of a dysfunctional family is also meant to illustrate Kanye’s relationship with fame is still great. Imagine that, another song where Kanye personifies a facet of his life as a woman. But it’s catchy, the music is great, and all the featured artists (including Elton John!!!) do a great job. Except Fergie. The radio edit is better since she’s not on it. I had this at #3 for a while, but his SNL performance, in which he includes a much more show-friendly second verse, and music video push it over the top. I don’t have much more to add beyond the fact that it’s a really great song, probably the best single on his best album. Kanye West is extremely religious, so it’s only fitting that this is his top song. You can pretty much just cut to the last nine lines for the message, but the whole song is incredible from the drill sergeant orders to the choir voices to Kanye being Kanye. Strange that his best song came nearly a decade ago, but he was able to make a religious hip-hop song become ultra-successful in the mainstream.